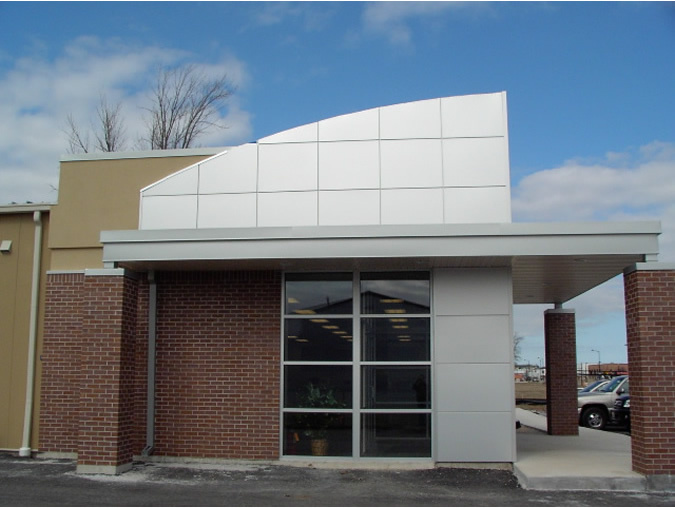 This design build project received Dri-Design clear anodized aluminum panels at the building entrance. Dri-Design Wall Panel System is a pressure-equalized system with open 1/2" joints and requires no caulk or sealants. Clear anodized corner extrusions were used rather than bent corners to further reduce project costs. 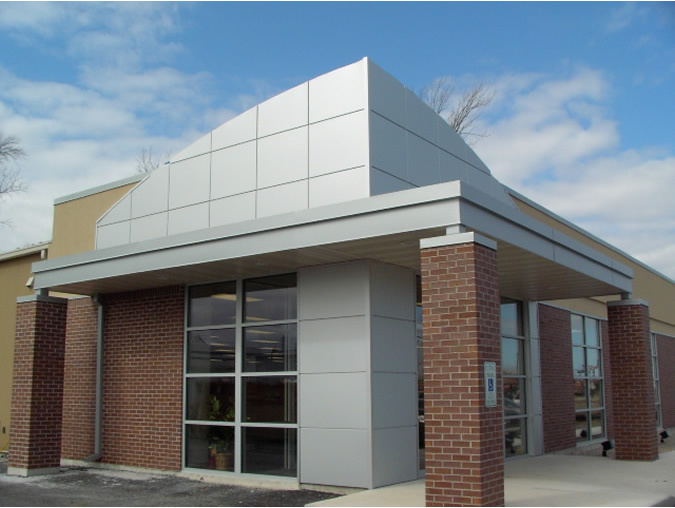 Dri-Design is an affordable, easy to install panel system that is available in any color.